My workplace has a number of All Flash Unity Arrays in Production, typically used as the “swiss army knife” for storage needs. 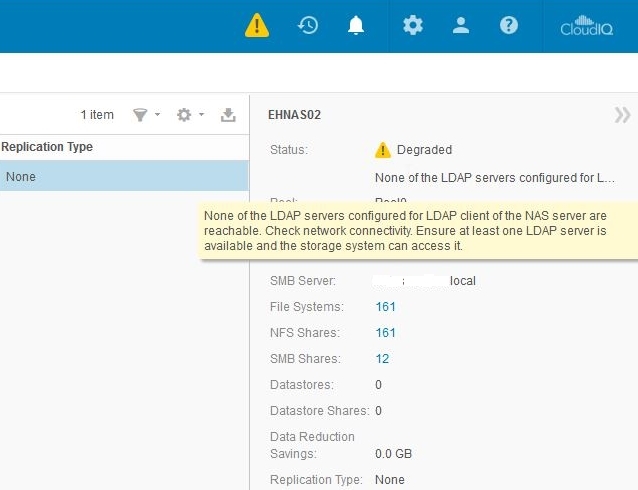 They have proven to be very solid, well performing units as both block and nas hosts, but there has been a peculiar occurrence of alerts displayed periodically, regarding NAS servers being unable to reach any of the configured LDAP servers. This seemed quite odd, as each time I checked, they were indeed reachable and seemingly error free. There was also no issue with configured AD logons and access to NFS exports using AD based accounts. No issues or alerts were generated form disparate monitoring systems. 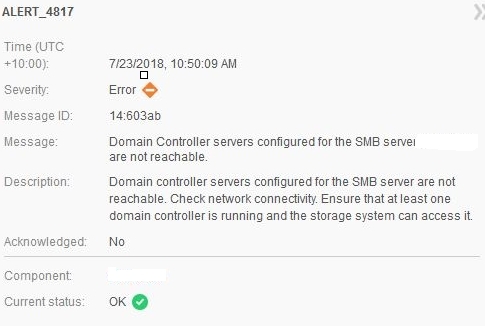 Azure AD Connect Synch Error- Target Attribute Value length exceeds max allowed size.